In 2018 it’s fairly hard to avoid technology when you live in a first world country. Just by going on with our daily lives we cross paths with it. If you are reading this blog right now that is thanks to technology. Being born into the age when technology is moving at such a fast pace is truly fascinating. Growing up, I was extremely fortunate to have had parents encouraging me to become more adept in the world of technology. They would work hard to send me to computer classes and get me a computer. I still recall assembling my first desktop tower at the age of 14 thanks to this. Having this exact privilege makes it really easy to forget that not everyone has the opportunity to access the latest and expensive technology. These circumstances have fortunately changed for the people of Omaha. Three years ago, a new “business” opened right on 72nd and Dodge. 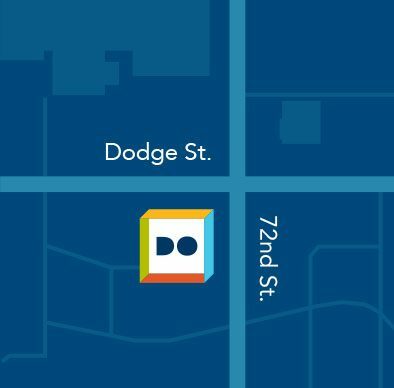 Their building is impossible to miss if you are driving past the busiest intersection in Omaha. For a year or so after its opening, I was wondering what business has taken over the old Borders-building. However, due to the lack of drive, I never bothered to find out. This was just about to change. It all started in High School when my parents in Colorado would actively be involved with the Church and the community. They really showed me the meaning of helping others by volunteering your time, efforts, and knowledge. This continued through College when I had the opportunity to volunteer at the local homeless shelter and participating in the Teammates Mentoring program. As a young post-grad adult, I kind of struggled to find ways where I felt like I could truly help my community. A sponsored Facebook ad quickly changed that. The business I have been wondering about this entire time was looking for volunteers and that was when I visited their website for the very first time. Turns out this “business” was actually a non-profit. Do Space should be considered as the equivalent of a “modern library”. The latest and greatest technology can most likely be found here and they are all free to access. Yes, that’s correct, it is absolutely free to use their top-of-the-line computers or their amazing 3D lab – all you need to do is sign-up as a member and get your Do Space card (just like a library card). After finding this out, my perspective of “not everyone has the opportunity to access the latest and expensive technology” changed. I now realize that the community of Omaha has received a wonderful gift. 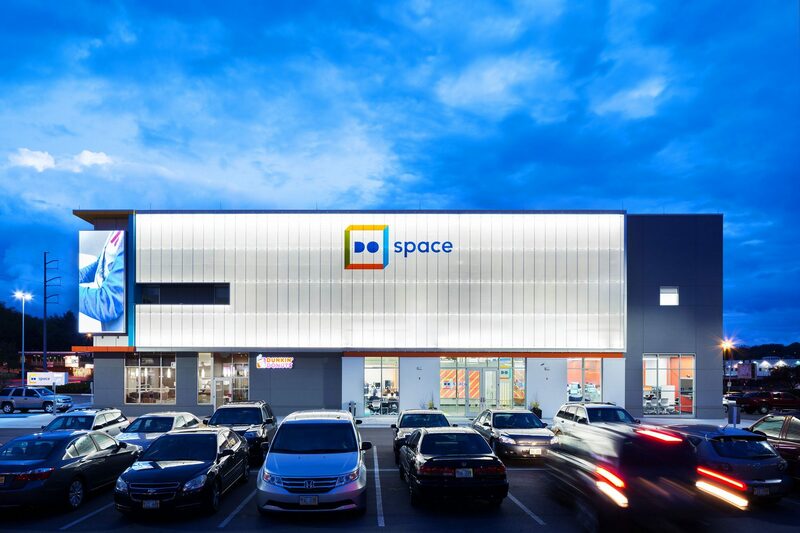 Being able to use their technology isn’t the only thing that’s free at Do Space; you may also use their meeting rooms, take various technologies classes, and even get 1-on-1 mentoring at no cost at all. This is where a nerdy tech-loving guy has the opportunity to give back to my community. I signed up to become a mentor at Do Space so I could help community members out with their tech-related questions. I never once forget how lucky I am to have been encouraged into the field. As humans, it is important that we help those in less fortunate circumstances than ourselves. Sharing the knowledge that was so generously given to me is the least that I can do for my community. I credit my parents, my Nurse/Physician’s Assistant/Doctor friends, teachers, and other volunteering friends for continuously motivating me to use my time and knowledge to give back to my community. All of your volunteer efforts domestically and abroad have truly been inspiring. Thanks to the technology that we are exposed to every day, we know all of the great things that people are doing for each other. No matter if you’re a tech expert, novice, or even a beginner Do Space will welcome you with open doors. It’s an amazing place where people from all backgrounds gather to continue their curiosity surrounding technology. Each time I visit I’m always in awe of how creative people of all ages are when they are using Do Space’s technology. It’s truly motivating when you see these people at work. Motivation and inspiration are all around you if you look for it. Interesting Fact: Fluent in English, Chinese, and Swedish.